John Romulus (later changed to Richard) Brinkley was born July 8, 1885, in Beta, North Carolina, the only son of John Richard Brinkley and his wife, Candace. John’s father was a poor mountain man who practiced medicine in North Carolina and served as a medic for the Confederate States Army during the Civil War. An orphan by the age of 10, he was reared by an aunt and had a rather haphazard elementary school education. Brinkley finished his studies at 16 and began to work carrying mail between local towns, where he learned how to use a telegraph. He wished, however, to become a doctor. After a nomadic life as a railroad telegrapher, he attended Eclectic Medical College in Kansas City, Kansas, but he never graduated. He was, however, able to practice in Arkansas with an undergraduate license and managed to acquire several fraudulent credentials from “diploma mills.” Making use of the reciprocal agreements between the states Brinkley settled in Milford, Kansas in 1916, where he opened a 16-room clinic. There, he won over the locals immediately by paying good wages, invigorating the local economy and making house calls on patients afflicted with the virulent and deadly outbreak of the 1918 flu pandemic. For all his later infamy as a charlatan, accounts of his success at nursing flu victims back to health, and the lengths to which he went to treat them were resoundingly positive. While in Milford, he began to transplant the gonads of goats into his aging customers with the promise of masculine virility. He was soon attracting national attention with his “goat gland” transplant surgery. 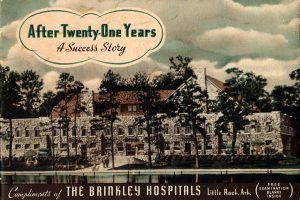 For several years, the practice was very successful financially and Brinkley bought a powerful radio transmitter. The transmitter became one of the first radio stations in Kansas, KFKB (Kansas’ First, Kansas’ Best). Programming was interspersed with entertainment programs, advertising for Brinkley’s secret remedies, and a talk program called “Medical Question Box” where Brinkley diagnosed the nation’s illnesses over the airwaves and suggested proprietary treatments. Soon, he was reaching a nationwide audience and was treating about 50 new patients a week who traveled from across the country eager to pay $750 ($9,000 in current value) for the goat-gland operation, which transplanted goat testicles into men. 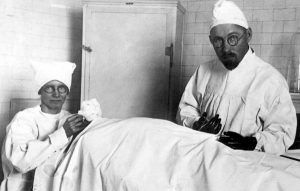 Although initially, Brinkley promoted this procedure as a means of curing male impotence, eventually he claimed that the technique was a virtual panacea for a wide range of male ailments. The placebo effect often convinced Brinkley’s patients that their potency had been restored. Unfortunately, at least 42 men died from infections following their operations. 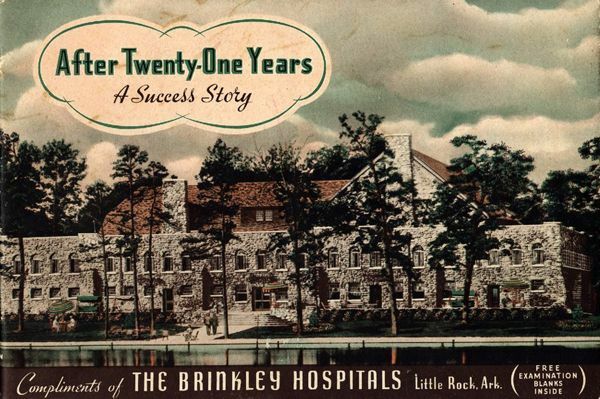 His practice was so successful that Brinkley soon had clinics and hospitals in several states, despite the fact that almost from the beginning, detractors and critics in the medical community thoroughly discredited his methods. However, he was able to continue his activities for almost two decades. But, his success would not continue. 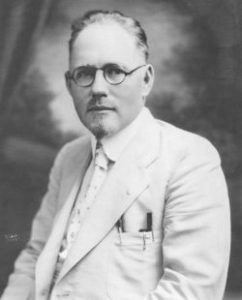 By 1930, the Kansas Medical Board held a formal hearing to decide whether Brinkley’s medical license should be revoked and concluded that it should state that Brinkley “has performed an organized charlatanism”. Six months later, the Federal Radio Commission refused to renew his station’s broadcasting license, finding that Brinkley’s broadcasts were mostly advertising, that he broadcast obscene material, and that his Medical Question Box series was “contrary to the public interest”. Afterward, he turned to politics. Conducting a vigorous write-in campaign for governor of Kansas in 1930, Brinkley garnered nearly 30 percent of the vote. After two subsequent unsuccessful campaigns for the office, he shifted his headquarters of operation to Del Rio, Texas, and built what would become radio station XERA in Villa Acuna, Coahuila, across the border in Mexico. In 1938, Brinkley sued the editor of the Journal of the American Medical Association for libel and $250,000 in damages ($4,250,000 in current value). But, in the ensuing trial, Brinkley was linked to a “diploma mill” and it was finally discovered that he had no formal medical training, resulting in the collapse of his practice. During his last years, Brinkley was sued for malpractice, indicted for mail fraud by the federal government, and underwent an Internal Revenue Service investigation for Tax Fraud. He was forced to declare bankruptcy in 1941. After three heart attacks and the amputation of a leg, Brinkley died May 26, 1942, in San Antonio, Texas. At the height of his career, Brinkley had amassed millions of dollars; yet he died sick and nearly penniless. 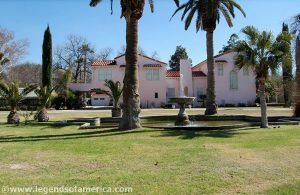 He is also, almost by accident, credited with being an advertising and radio pioneer who began the era of Mexican border blaster radio.